Community College is an alternate college path, with its cost and resources differing from a traditional four year university. Many juniors and seniors weigh their options carefully, with a community college path being one of them. The questions for prospective students include: What are the differences between universities and community colleges? What benefits would you receive, and what aspects of the system may not correlate with your goals? 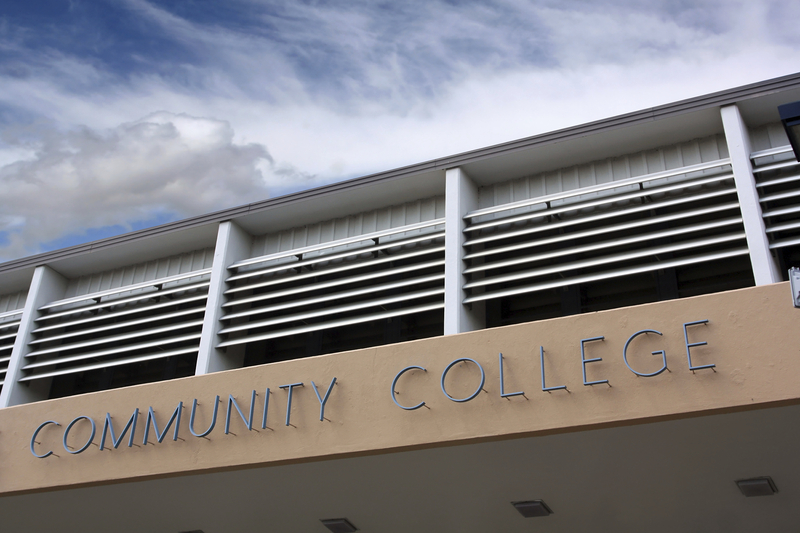 Is community college a reasonable option for you? The pros and cons below may help some decipher these questions. Community College is a less expensive option for college, or the beginning of your college path. With tuition at private universities rising 3-5% annually, the difference between community college and universities is almost 50%. 529 money is often accepted through community colleges as well. This is not the case for public and private schools. Many people also find community college beneficial for getting their general credits done at a lower price before transferring to a public or private university. Community colleges are also located in populated areas, in state, providing an easy location to get to, and possibly the opportunity to stay at home through college, instead of paying for a dorm. Another pro is the class variety in times and topics. There is a selection of general education classes as well as individual career programs where you take a mix of general courses along with courses directed towards your career path. Timing of the classes is very flexible as well, with day classes and evening classes available. These two factors produce smaller class sizes which helps students get a deeper level of learning with easier access to help from their professors. The flexibility has also been found ideal for things like holding steady jobs, teen moms, sports, etc. As you may know, community college is a less expensive option. While it can be used as a tool to save money and help make a steady plan for your future financially, it can also be a place for less motivated students. Some worry these individuals could be a distraction in classes. Another concern for people is the fact that most community colleges only offer two year Associate Degrees. While credits can transfer to four year schools, not all do, and it is something that needs to be looked into prior to attending community college if you plan on going for higher degrees. Another thing some have found difficult is the transition from community college to a university due to the increase in intensity of the workload after the first two years at community courses. Some people are willing to modify and piece together a plan with various colleges, but for others it leads to be too messy and stressful. Lastly, for those who are looking for the “college experience” on campus with things such as activities and clubs, community college may not fit the description of that because they primarily focus/provide the education aspect of college life. Either path you choose to take, you will be getting college degree, helping you secure more job opportunities in the future. If you know what you want to major in, research programs at community colleges and universities. Compare curriculum and costs. If you aren’t sure what you want do for your future occupation, community college may be a good way to get your general courses done while thinking about your future plans.